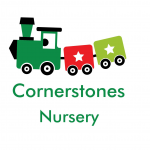 We have 33 nurseries in Perth listed in our online nursery directory. You can narrow these results down to find the perfect nursery for you using the options on the search bar above. Nursery in an old manse. Homely, friendly and welcoming nursery from babies to 5 years old. Forward thinking family nursery. Superb bright nursery with extensive gardens to explore. Showing 1 to 20 of 33 results.